In the mid-1970s, his music gained airplay in Australia and New Zealand. He has since toured there several times, to play festivals, arenas & theaters. He released “Rodriguez Rocks – Live In Australia “ in 2016 on Light in the Attic Records and has just completed a multi-city tour of Australia in November/December of 2016. In the late 1990s, South African fans finally sought him out, leading to the unanticipated renaissance of his music career. 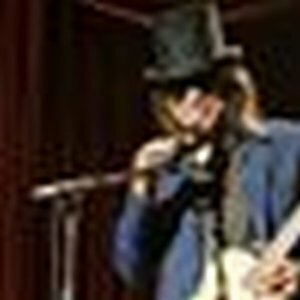 Their story is told in the 2012 Oscar award-winning documentary, Searching for Sugar Man, directed by Malik Bendjelloul , which has given Rodriguez a new measure of fame in the U.S. with his music and story now reaching audiences worldwide. The film has been aired multiple times on PBS and public TV worldwide and is available on DVD and streaming TV. Rodriguez will be touring in the US and Canada in 2017.